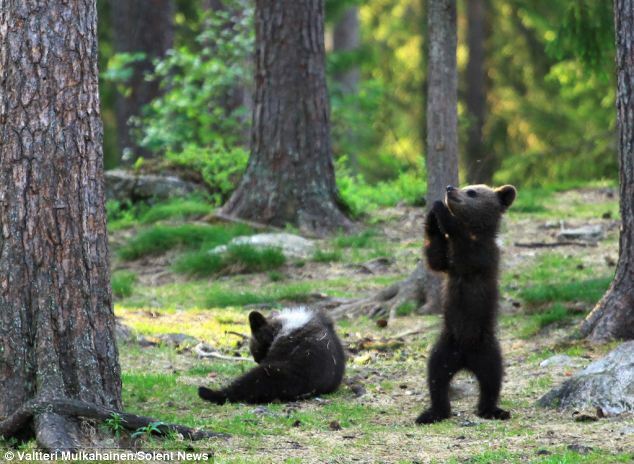 A captivating series of photos appear to show a family of baby brown bears dancing to Ring a Ring o’ Roses as their mother relaxes behind a tree nearby. 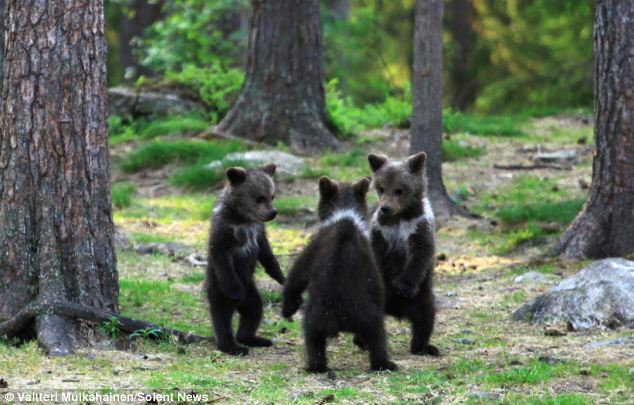 At just a few months old, two young males and one female gather in a circle, clutch each others’ hands and looks as if they are dancing to the popular nursery rhyme. 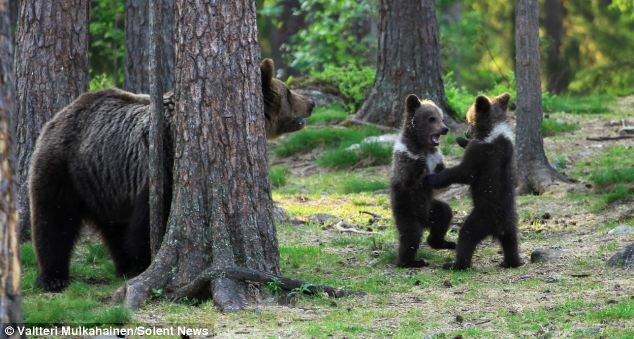 It’s almost like a scene from a school playground as the bears joyfully play together, tapping their feet and moving around in a circle. PE teacher Valtteri Mulkahainen, 52, was lucky enough to witness the magical moment and captured it on his camera which he uses as a hobby. 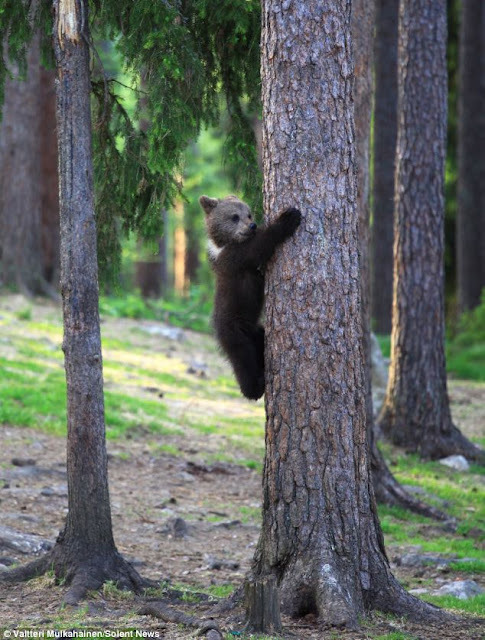 He was travelling through eastern Finland when they came across the bears near Suomussalmi. Valtteri, from Sotkamo in east Finland, said: 'When I saw them standing on their hind legs I thought I was imagining it. 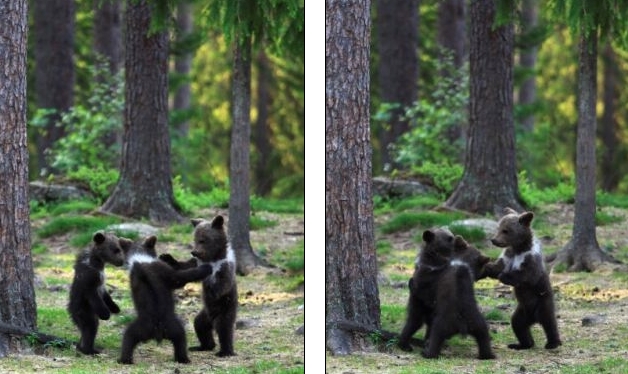 According to Valtteri, the bears were constantly fighting and playing with each other 'just like small children' as he watched nearby. 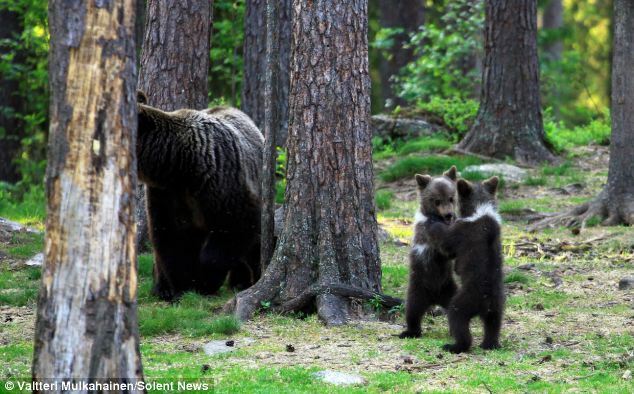 While the mother bear was eating, her children were constantly fighting while standing on their hind legs and tumbling to the ground. 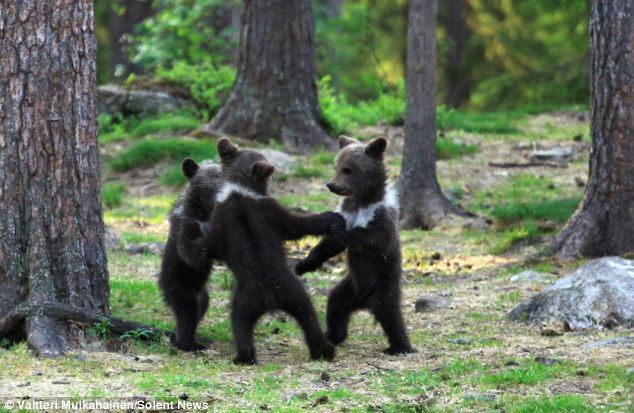 Responses to "Adorable moment baby bear cubs grasp paws and dance joyfully in a circle"
They are TRUE Pagans, giving thanks! Goddess Bless! That is so wonderful & magical. They are just like little kids playing. Thank you for sharing this. So wonderful ~ don't tell the dentist. Playing Like HUMAN CHILDREN. Happy and Proud Momma Looks on... Love and Kisßes Kisses for them.